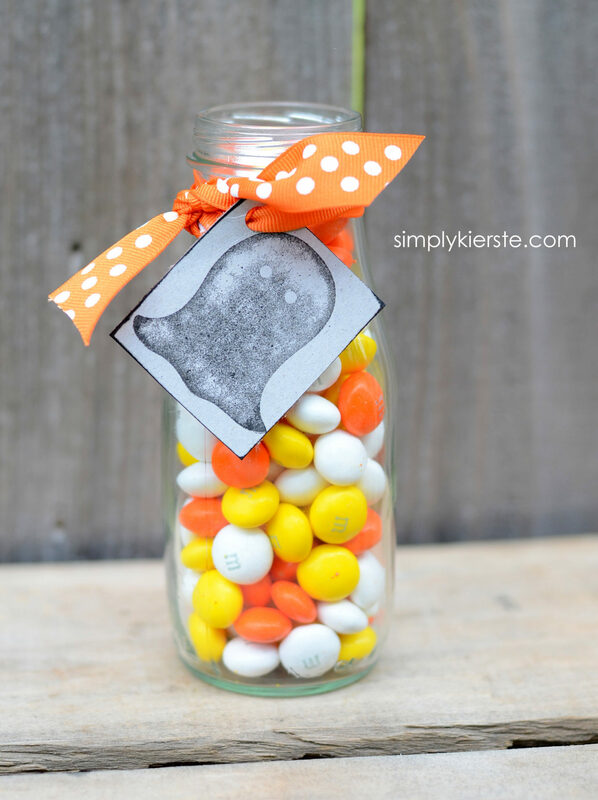 There are many occasions over the holidays to drop off a fun treat to a friend, neighbor, or teacher, and these darling Halloween Treat Jars are perfect! Aren’t they so cute??!! They are also really easy to put together. I created these stamps using my Silhouette and their stamping material, then stamped right on to some chipboard. I distressed all the edges, matted it on some cute cardstock (the pumpkin one), punched a hole in one side, and used twine and ribbon to attach them to the mason jar and milk bottle. 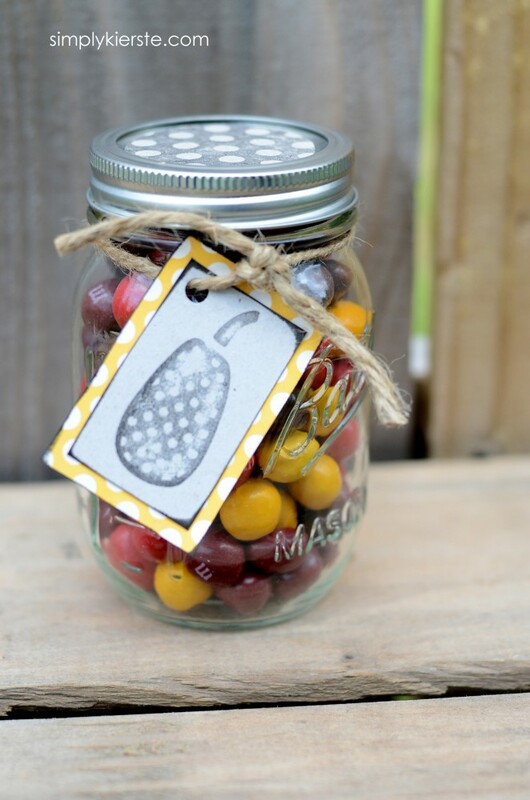 I filled them with candy corn M&Ms (uh-mazing, and I don’t even like white chocolate! ), and the other with fall colored peanut M&Ms. I also made a fun polka dot stamp, that I used on the top of the jar. I just punched it out with my 2 inch circle punch. If you don’t have a Silhouette, that’s okay!! Hobby and scrapbook stores have lots of fun stamps to choose from, and many of them offer great coupons so you can get a steal of a deal. Or…use a fun printable you love! 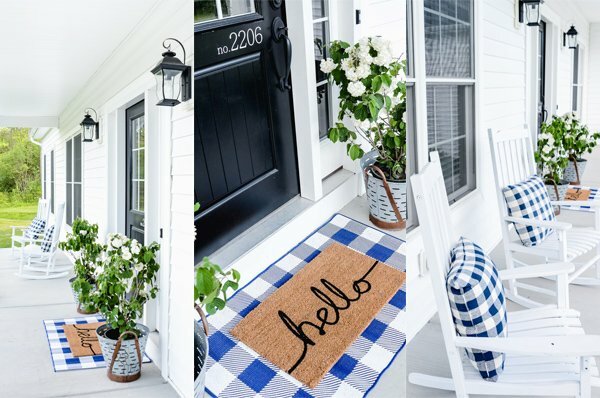 These are so easy to put together, and perfect for dropping off to a friend, or even as centerpieces at a party!! LOVE!! I’m not seeing the “box below” with directions for the giveaway. Am I missing something? No, it wasn’t you!! There were some technical issues, but they’re all fixed now!!! Come on over and enter!! I’m still not seeing the “box below” with direction for the giveaway. Could you tell me where it’s at? Apparently it was still having an issue, lol. Try again..I think we’re good! The new stamping kit looks AMAZING!! What a great addition to the Silhouette line. But… Is it just me, or is the entry box missing? I reloaded the page and still don’t see it. It was missing–sorry it was glitch, and I had to re-do it. It’s up and running now!!! Thank you!! I checked on two computers with two different browsers and it is still MIA. Ah, technology! I hope you get it figured out! Seriously! I either really love technology, or I really hate it, lol! Try again…I think it’s good to go! Ahhh, I thought it was just me not seeing the box. Relieved to know there are others. I really thought it was fixed, lol! Try again…I think it’s good now! You did it! It’s showing now. Thank you! I’d love to win a portrait so I can play with the new stamping material! What do you do with lids for the recipient?I was thinking to attach to ribbon or twine with a dab of hot glue so they could use later. The mason jar lid is already on, and I add the lid on to the milk bottle before I give it away. I usually spray paint it to match my color scheme!